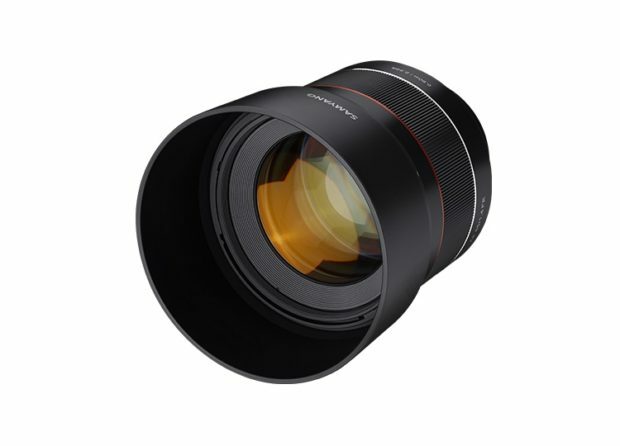 Rokinon/Samyang AF 85mm f/1.4 FE Lens Price $699, now Available for Pre-order ! The new announced Samyang AF 85mm f/1.4 FE lens now finally available for pre-order at Adorama. The US price for this lens is $699.00. The AF 85mm F1.4 FE is inspired by the optical vision of the MF 85mm F1.4 AS IF UMC, which has been loved for its beautiful out-of-focus images since its launch in 2008: however, this new lens develops the original’s existing strengths with a much more advanced optical design, newly optimized for mirrorless cameras. This lens of great value and charm with high resolution encapsulates Samyang’s universally respected 40-year optical technology in your photographs. The AF 85mm F1.4 FE cherishes Samyang’s world class optical technology while envisioning a new leap forward, with its quick and accurate autofocus performance and excellent resolution. Its complex optical construction is comprised of 11 glass elements, among which are special High Refractive (HR) glass, which successfully allow both a compact size and high image resolution. The achromatic design, incorporating Extra Low Dispersion (ED) glass, effectively corrects chromatic aberrations and minimizes peripheral softness, creating lively images in vivid colors. The AF 85mm F1.4 FE’s optical design minimizes optical aberrations, while maximizing the image quality from corner to corner. Its detailed rendering results in exceptional image quality, even on the latest high-resolution full-frame cameras; and its bright maximum aperture means you can enjoy this excellent performance even when shooting indoors or in darker conditions. The lens’s attractive bokeh, created through precise lens polishing, adds a great feeling of depth and space in your photographs. Also, its aperture mechanism comprises 9 precisely-controlled iris blades, providing natural, circular, out-of-focus highlights at all apertures. With this smooth bokeh, achieved through various optical technologies, you can create images full of character in your portrait or subject photography. The short telephoto focal length, combined with the wide maximum aperture of f/1.4, enables photographers to achieve a dramatically shallow depth-of-field, setting your pictures apart from those taken with other lenses. This optic offers great creative freedom: it yields images with depth, while maintaining an appropriate distance from the subject; it separates subject and background naturally, providing an impressive visual feeling of depth. The AF 85mm F1.4 FE features a total of 11 glass elements; the ED (Extra Low Dispersion) elements have been incorporated into its precise achromatic design. This design corrects chromatic aberrations, and creates quality results, with peripheral softness also being well-controlled. Four HR (High Refractive) elements, made of special materials with an outstanding refractive index, improve optical performance and enable a compact optical design. The AF 85mm F1.4 FE was designed from the ground-up with this technology, to lessen its users’ burden with a shorter length and smaller size. DLSM (Dual Linear Sonic Motor) works with ultrasonic vibrations, which cannot be heard by human ears, to successfully give a silent autofocus performance. The accurate high frequency signals, controlled with Samyang’s own protocols, precisely operate the DLSM. Specialists in optics, mechanical engineering, and electronics, have researched cooperatively to give these powerful results for a short telephoto lens. The introduction of DLSM technology on an 85mm lens means you can comfortably and silently capture the subjects you want, with quick efficiency. The aluminum body, designed with precision by mechanical engineering specialists, has only three spaces in its basic design. Weather sealing covers even these small spaces to effectively protect the lens from dust and rain. This protective design enables users to capture the moment outdoors in any environment, providing the dependability you need to keep shooting. Samyang’s Ultra Multi Coating (UMC) technology is applied through a thorough cleaning process, followed by Ion-Beam Sputtering (IBS), which controls the spread of reflections while still enabling a high transmittance of light. This UMC technology reduces unwanted reflections and provides crystal clear image quality, minimizing flare and ghosting effects in high contrast environments, such as backlit pictures and nightscapes. The AF 85mm F1.4 FE is a medium-telephoto lens with a very bright aperture. Thanks to its compact optical design and aluminum construction, it can be contained within a small and lightweight body, enabling photographers to carry and handle a lens of this type with ease. Samyang/Rokinon AF 85mm f/1.4 FE Lens Announced ! Previous Previous post: Sony RX0 II Announced, Price $698, 4K Video, 1 inch Sensor, 15.3MP !